Kavalactones can be better extracted when making your kava if a little fat is used. 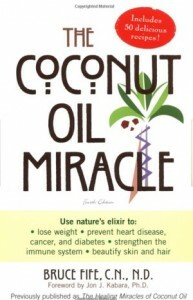 I used to put soy lecithin but since I have stopped consuming soy products I found coconut oil works fine when I don’t use coconut milk, and by doing so I discovered many of the oil’s miraculous properties. I use organic cold pressed coconut oil and put a very small amount, maybe half a teaspoon in the blender for my 2-4 cup mix. The one time I didn’t use the blender and massaged the kava in the bag, I noticed my hands were silky soft! I was so impressed I started using it on my skin, and I noticed a major change especially on my face, chest and back: it is clearing all my acne and fine wrinkles! My hands look 10 years younger only after a week! To me, that is clear proof coconut oil is a powerful anti-bacterial with bonuses. I had bought the book The Coconut Miracle and finally after this discovery I was ready to really start discovering the miracle. My mother bought some as well; she doesn’t drink kava but she will start using it on her skin and replacing her cooking oil with it. She has recurring athlete’s foot and I suspect it could be candida so she will give it a try. I also had the idea to put my cat on it as well. My sweetie has been battling mycoplasma since she was a baby and no antibiotic works; they only slow it down and they kill the good bacteria and make her sick. 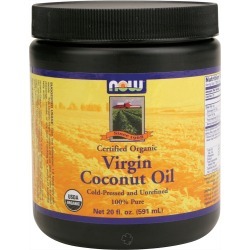 I read the coconut oil can break the mycoplasma bacteria’s tough layer so I will give it a try. I give her half a teaspoon per day along with probiotics. She doesn’t like the oil texture so I have to force her and use a dropper. The veterinary didn’t recommend a syringe or dropper in case it might get into the lungs and not be absorbed and I am afraid she refers to mineral oil which is not absorbed by the body; I understand how it could be fatal if droplets would ever go into the lungs but coconut oil is very well absorbed by the body so I am not too worried. So far it’s been more than a week and the bacteria is coming on stronger so I might have to increase the coconut oil dose slowly and see what happens. It is important to make sure the oil you buy is organic, virgin and cold pressed for many reasons like oxidation and purity. Mine is refined for cooking and it seems to work. I will try an unrefined kind the next time I need to buy more. Now one of my favorite songs, Coconut by Harry Nillson takes a whole new meaning! Coconut and kava are heaven sent which is probably why people in the pacific are the happiest on earth!